between teeth using composites/ veneers. 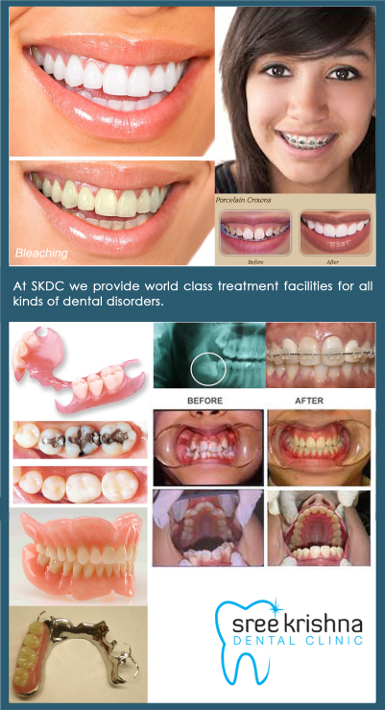 inc. supra-gingival scaling, sub-gingival scaling, gingival curettage, frenectomy, periodontal flap surgeries, etc. including impaction surgery, fracture reduction and fixation under local anaesthesia, cyst enucleation, apicoectomy etc. to avoid extraction of painful teeth. procedure for dark/ dicoloured teeth. for replacement of missing teeth without capping adjacent teeth. of protruding and irregularly positioned teeth. using ultrasonic scalers with Piezo technology. using composite/ ceramic veneers or crowns. with treatment for caries, space infections, malocclusion, habits like lip-biting, thumb-sucking etc.